Islander grew up in the Sandwich Islands but, like most local Hawaiian kids, ate more bento (boxed lunches) than sandwiches at school. When the military transferred her Daddy to the mainland, and the ‘ohana (family) moved to and lived for a few years on the East Coast, Islander noticed that some of her elementary school classmates brought sack lunches—mostly sandwiches! She was a bit shy for having a different kind of lunch, so she asked her Mommy to make “what the haole kids ate.” Peanut butter and jelly, egg and tuna fish sandwiches found their way into her sack. Ironically, some of the haoles wanted to trade their food for her teriyaki meats and lumpia (spring rolls) because her bento lunches seemed more substantial than their simple sandwiches! Islander still prefers rice-based, comfort-food lunches but will eat sandwiches with her haole husband, Highlander. 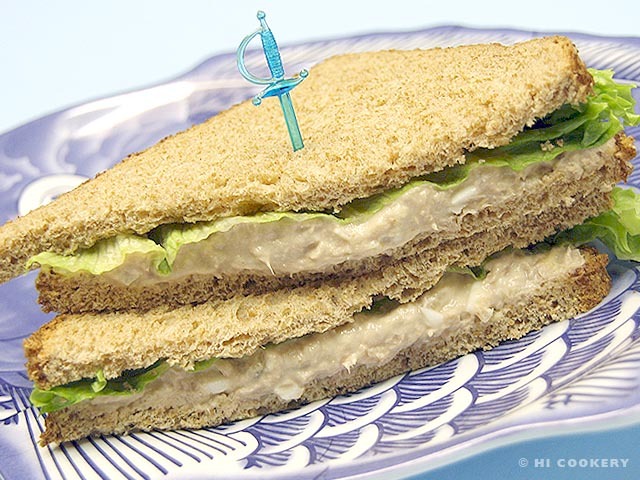 Tuna fish sandwich is one they both like, so we are featuring our easy recipe for a blog post on National Sandwich Day. 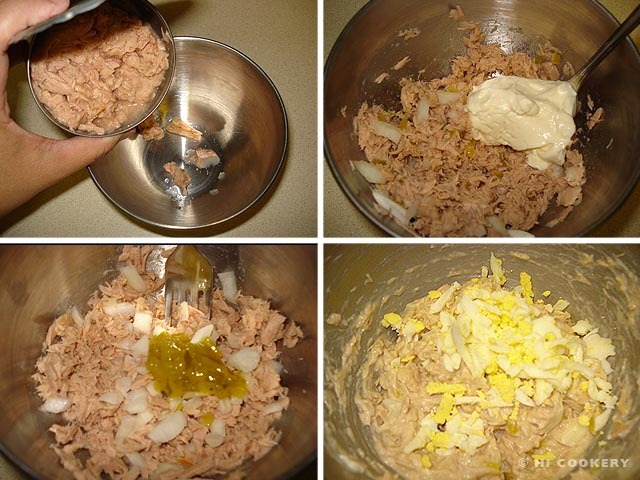 In a medium bowl, combine the tuna with mayonnaise, relish, onions and egg until well mixed. 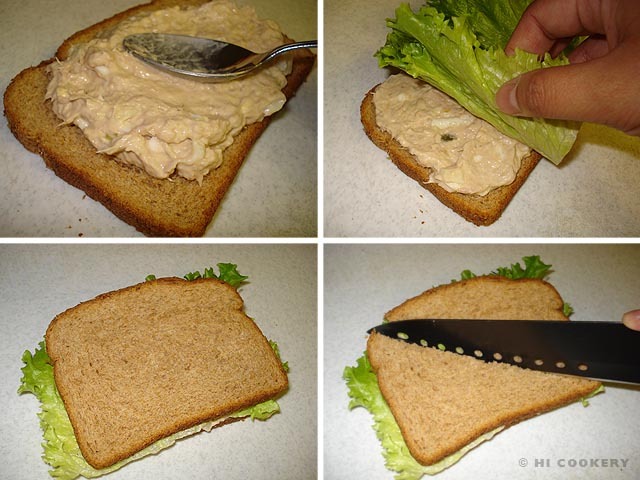 Spread the tuna mixture on one slice of bread. Top with a lettuce leaf and another slice of bread. Cut the sandwich diagonally with a sharp knife. Repeat with other slices of bread until the tuna mixture is all used up. Yield: 3 tuna fish sandwiches. Thanks to Lisa L. for the fish platter in the final food photo above. Search our blog for other sandwich recipes.